Echoing similar benefits, Rengma from Logwesunyu Village under Kohima District says that the orange orchard in his demonstration farm was usually attacked by hard scaled insects and this caused the young oranges to prematurely fall off the tree. 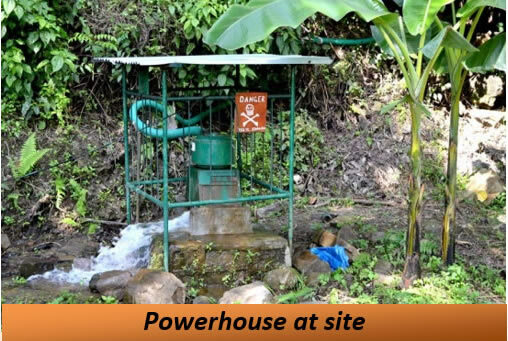 However, with the installation of the Hydroger, he says “All these insects are attracted to the light put up at the Hydroger site and I was able to exterminate them easily. Now my oranges are developing without any pestilence and I am looking forward to a good harvest”. Rengma said that the initial efforts of NEPED to instil a sense of environment protection and preservation of the ecological balance in the villagers had manifold advantages including forest cover regeneration through tree plantation (particularly because farmers in the area engage in jhum cultivation), reduced landslides, increased sightings of rare animals and birds including the Hornbill and most importantly, the resultant improvement in the flow of stream water owing to the continued conservation of the catchment area aided by a resolution passed by the Village Council. He also appreciates NEPeD as the Hydroger enables them to run fans giving them a relaxing lunch break as the area is considerably warm and humid on account of its proximity to the Assam-Nagaland border. The village is strategically located bordering Assam, Sumi and Lotha areas which make the demonstration farm an important meeting point particularly for ATMA and RKVY workshops and trainings. The Hydroger provides electricity for running audio-visual media during such gatherings and a proposal for internet connectivity to increase their learning and communication is in the pipeline. Rengma too has started a poultry unit for which, lighting is provided by the Hydroger. “Morning feed for the piggery unit can be prepared at night owing to the lighting the Hydroger provides” he adds. Other impacts of the Hydroger installation have resulted in increased man-hours which enable womenfolk to take up weaving in the evenings while the men folk have begun to make handicrafts. 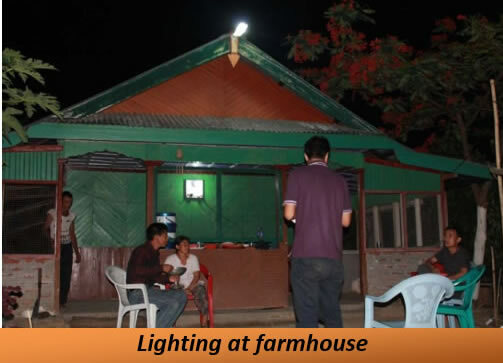 Presently, 4 families apart from the farmhouse are utilizing the power generated from the Hydroger. This has had another major impact as an increasing number of villagers from the over 70 household village are expressing their desire to relocate to the periphery of the farm considering the potential for economic activity powered by the Hydroger, the savings on electricity bills and the assurance of constant power supply. “The untiring efforts of NEPeD have greatly reduced our dependence on the Government and other agencies and the improvement in the overall economy of the villagers individually has given us a new direction towards advancement” he said.